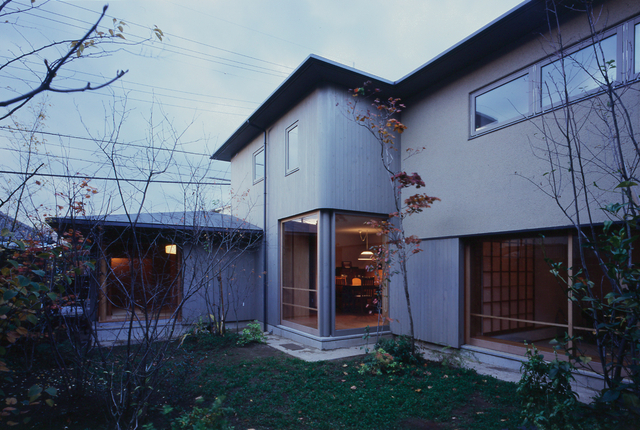 This house is a two-generation house in the center of a city. 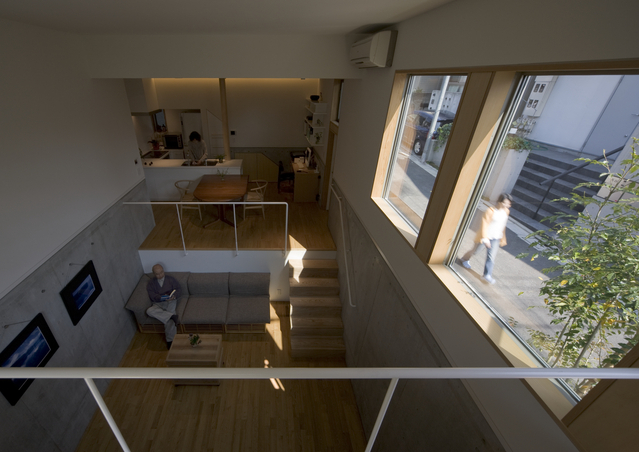 The ground floor is a spiral space with the skip floor, because the site is a sloping land. 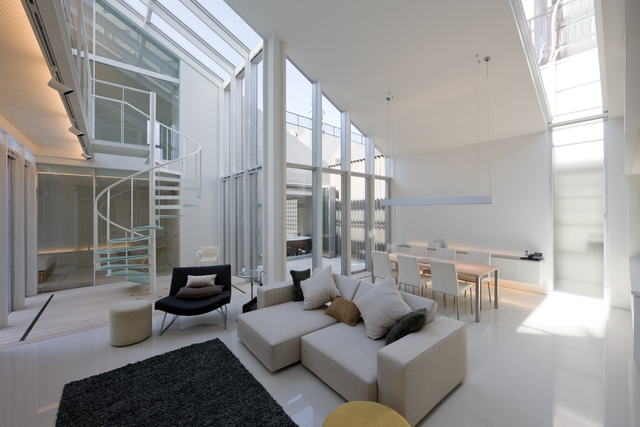 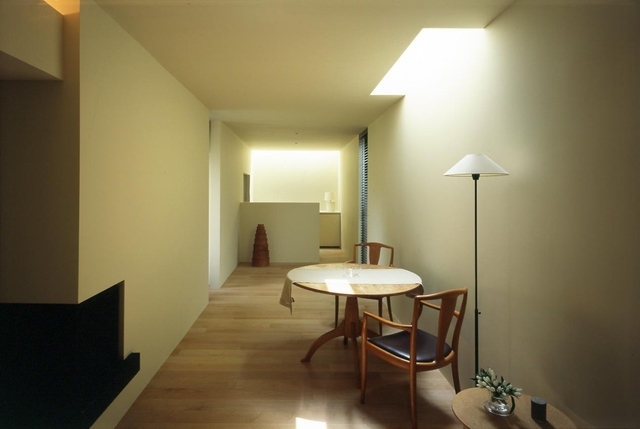 The first floor is a space of the attic in the span roof made according to the limitation of height by regulations. 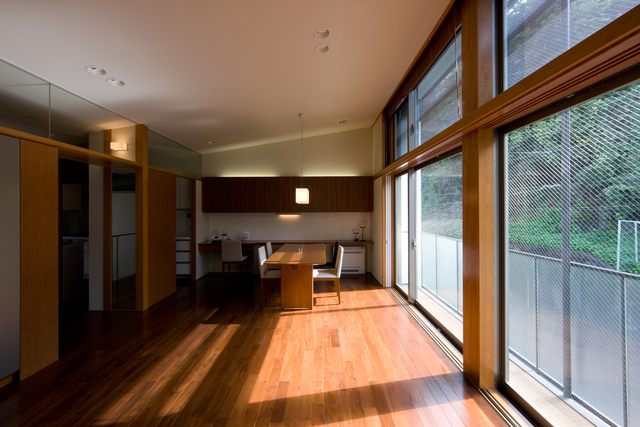 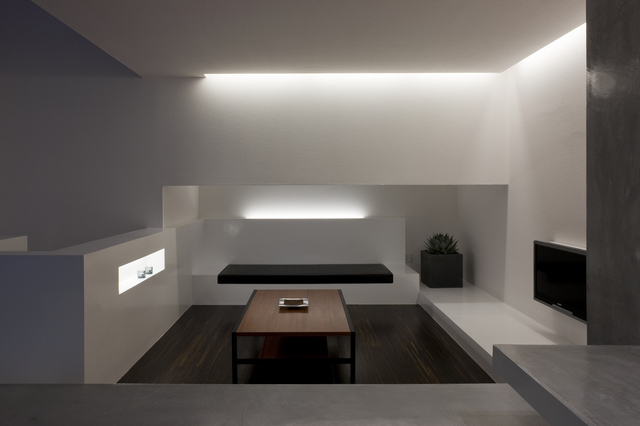 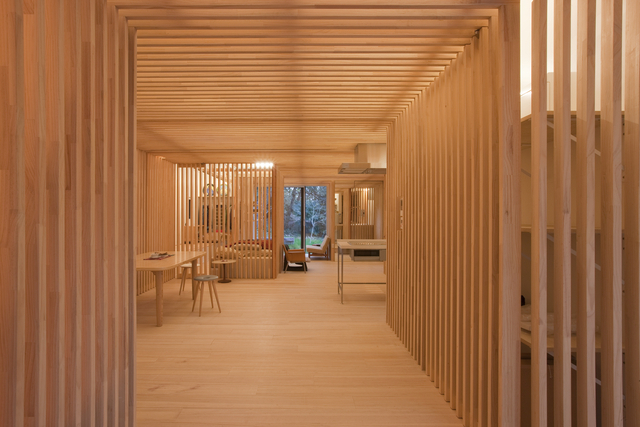 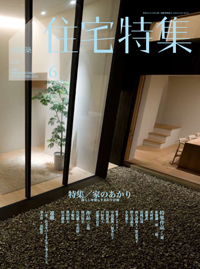 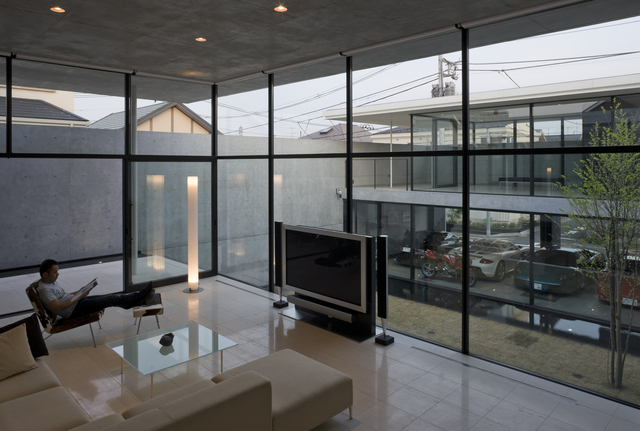 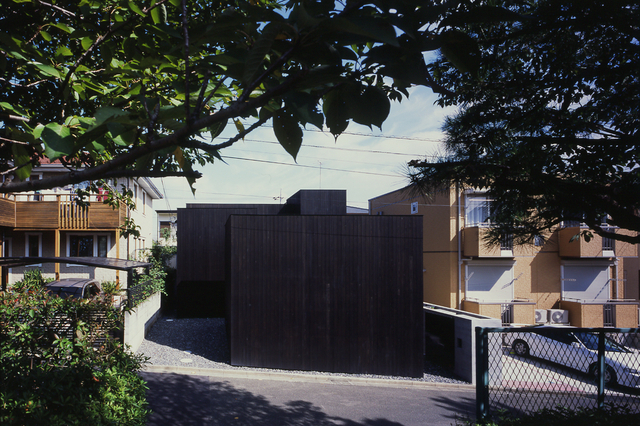 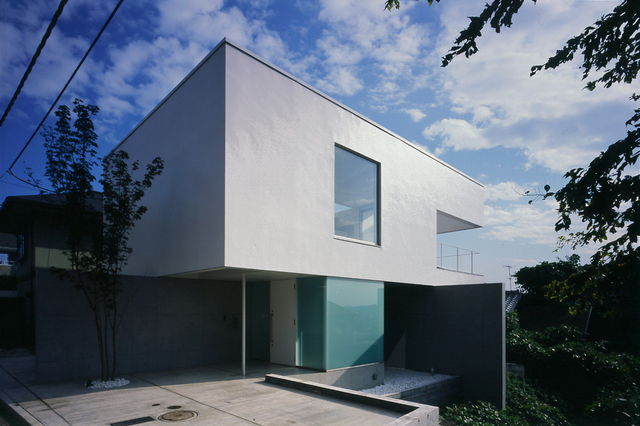 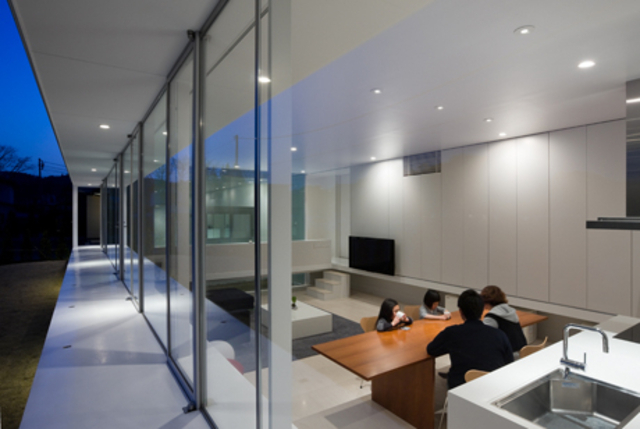 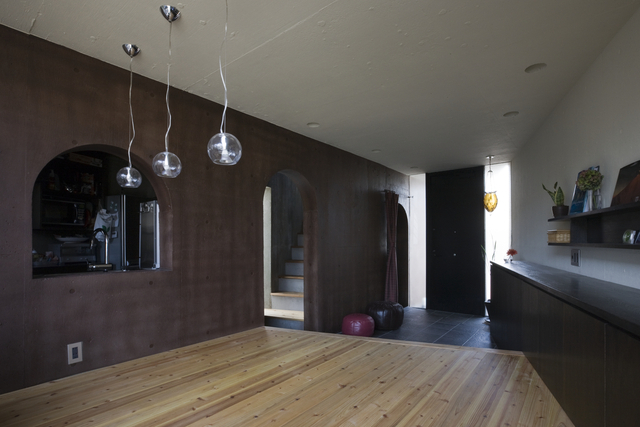 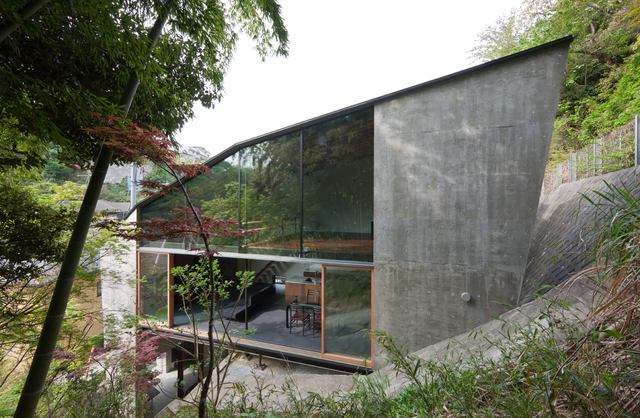 It is a house that became an excellent expression with a precondition of construction.